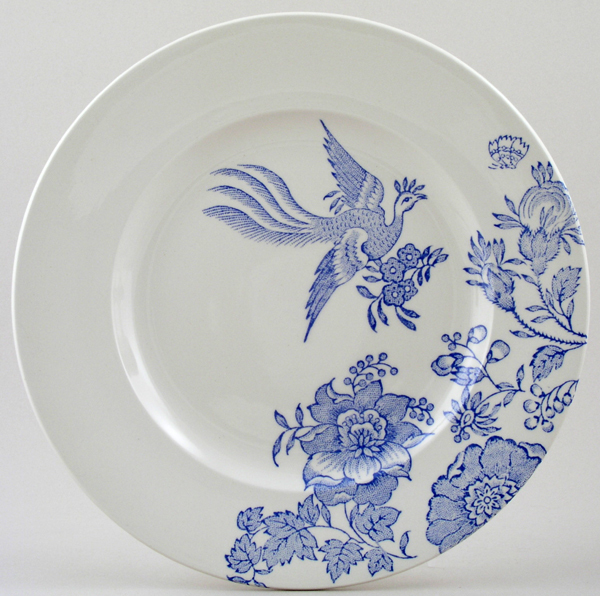 Blue Asiatic Pheasants, made in England by Burgess and Leigh. Brand new and first quality, dishwasher and microwave safe. Blue printed backstamp Burleigh Asiatic Pheasants B&L England. This item has been discontinued by Burleigh, but limited stocks remain available.